The monorail in Sydney, Australia is being dismantled. Clearly the town is doomed, and since the word “monorail” has been used, people have been invoking Lyle Lanley and his cheerful brand of fraud to prove it. We’ve got two links about it, including a spectacular parody video. On top of that, we’ve got awesome donuts, I nitpick several pieces of usage, there’s a possible sighting of the very first time Bart Simpson was on television, Lenny’s trying out a couple of new things at her blog, there are alumni updates about Cartwright and Groening, and there is a truly half-assed attempt at making a real Flaming Homer. Monorail, Monorail, MONORAIL! – Smooth Charlie’s Link of the Week is this excellent monorail song parody from Australia. The map is a very nice touch, and while I didn’t get most of the local references, bored looking kids in the Rammstein and Evanescence t-shirts require no localization. Here’s some background on the video and the impressively quick way they put it together. 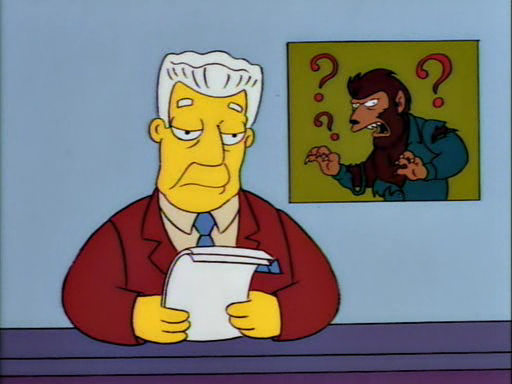 Prima Simpsonis: The First Television Appearance of Bart Simpson – I will leave it to people better versed in the obscure early days of the Simpsons to determine if this is true or not, but there is a suspiciously Bart-looking background image in an animated episode of Amazing Stories that was written and directed by Brad Bird. It was broadcast in February of 1987, two months before they hit the air as part of The Tracey Ullman Show. A muralist by the name Combo created a very appropriate Simpsons family portrait power plant scene inside a building at the Chernobyl disaster sight. The artists also created a power plant landscape mural as well. They’re really well done, too! Good work, Combo, whoever you are. Baking With SparkleGirl | Mmmm… Forbidden Donuts – Complete and simple instructions for making pink sprinkle donuts, with drool inducing pictures. The only thing that’s missing is an incantation so that you can sell your soul to Flanders for one of these. You Know You’ve Arrived When You’ve Been Simpsonized – A nice review of Rear Window with a couple of screen grabs from “Bart of Darkness” thrown in for good measure. Bonus points if you can figure out what the blog’s banner image is without looking at the About page. My Life is Complete: Boo Urns! – Attention California residents, you cannot get “BOOURNS” as your license plate, because someone already has it. Here’s photographic proof. Embiggen your vocabulary: 10 coinages from ‘The Simpsons’ – There’s only one thing from Zombie Simpsons on here. Bravo. The Simpsons Puzzle – A look at some Simpsons puzzles. I’ve got to give the Krusty Brand Seal of Approval department credit for the one with Bart writing “I Will Finish What I Sta__” on the front of the box. To which the ever astute Lisa replies, “Only two, I checked.” I’m calling that one moderate usage. OU Announces Undergrad Commencement Speaker – On June 9th, Nancy Cartwright will be giving the commencement address at Ohio University. That is all. Jillian’s Bart Simpson Tee – Your chance to own a real 1990 Bart t-shirt, the proceeds of which also buy a new shirt for charity. 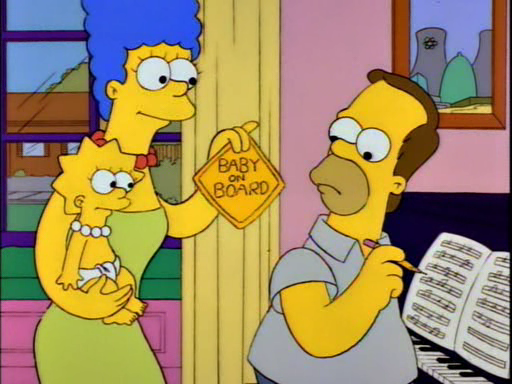 Homer actually says “had a cute name” not “has a cute name”, but that’s close enough for excellent usage. Well that is exactly how I felt on the road up to Mayo. The heartbreak of last year’s All-Ireland quarter final defeat was still fresh in the mind of Cork supporters. Marge actually says, “He tripped my boy! I demand vengeance! I want vengeance!”, but all the words are in the right order so it’s definitely excellent usage. Simpsons Sums Up: Gossip Girl, Season 5 – Since I don’t think I’ve ever seen more than about five minutes of Gossip Girl, I can’t judge the image, but the quote is right, so I’m calling this excellent usage by Lenny. 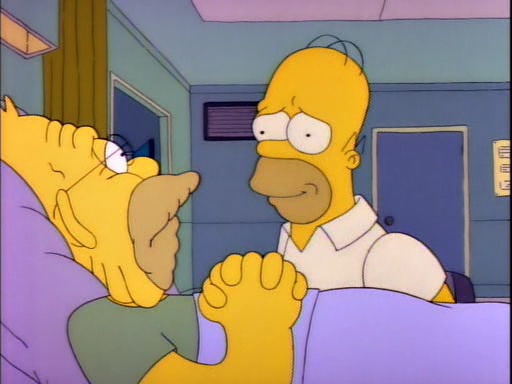 Lenny & Steve’s Excellent Adventure Through the 100 Best TV Episodes of the Past 20 Years: Part 1 – Lenny’s other new project has “Homer at the Bat” as the 92nd best episode of anything. MonoFAIL – Sydney fell for Lyle Lanley’s scam a long time ago, and now they’re going to tear it down, but no without YouTube of the original song. No word on the popsicle stick skyscraper. The Future, as Predicted by ’90s Cartoons – There’s plenty of “Lisa’s Wedding” here, even though that is now technically in the past. 100 Best Comedy Characters Currently On Television (30-21) – The countdown continues with Itchy & Scratchy sharing the honors at #23, and . . .
100 Best Comedy Characters Currently On Television (20-11) – . . . Bart at #14. Homer Simpson Stargazer fish found buried in seabed by divers in the Lembeh Strait – This strikes me as a bit of a stretch, but whatever. Audiovisual Rosetta Stones: 15 foreign words and phrases we learned from film and TV – Grampa’s failed German burlesque show is in here. I bet no one thought of that scene as educational when they were putting it together. 1996: A SPACE ODDYSSEY – This one goes out to our Australian readers, where there was apparently a Simpsons tie-in with a Pog knockoff in 1994. If we had those here in the States, I sure don’t remember them. Some days, you’re just going to be Sideshow Bob, and the world is going to be a dozen rakes. A GIF(t) just for you 31 – Animated .gif of Ralph smiling and waving. I cannot say that I’ve ever had this drink, nor do I want to try it. However many people are curious about it. The key is to use a plain children’s cough syrup, nothing too flavorful. Be careful when making any flaming drink and extinguish before drinking. I’d be curious to hear comments about it. The Shatterer of Myths – Exploring the real meaning and definition of “myths”, with a nice assist from “Lisa the Iconoclast”. Planet of The Aches – Animated .gif of the Itchy & Scratchy where Itchy walls up Scratchy and then dices him in the future. Jamming with Matt Groening – Groening did some impromptu sketches for charity at the Shanghai International Literary Festival. But when it was in the highlight of its years, it is the best comedy that was ever on television. Seasons 3-8 have so many classic moments and are just as funny today as they were when they aired. Those episodes have aged so well that it’s genuinely frightening. Just look at the monorail video up top. Tags: Oh Brother Where Art Thou? CT: What is your involvement with the show? I’m currently a consultant. I go in every Wednesday, I fly in there – there’s nothing special about Wednesday, it runs like a factory and its always in production. 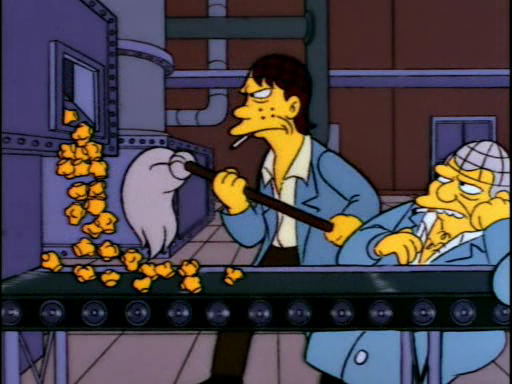 Every Wednesday I just come in and sort of step onto the assembly line and help out. 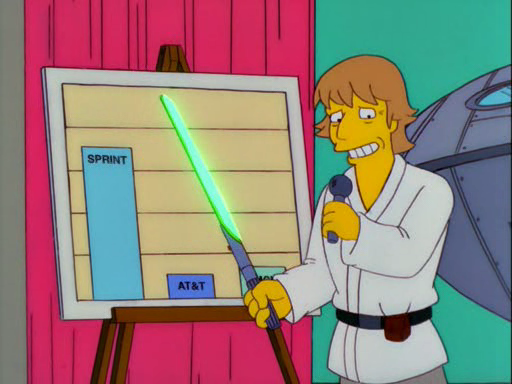 The show is written by 8-10 people sitting in a room just throwing out ideas and jokes. Every Wedneday I’m just one more guy who goes in to help it. CT: Are you considered something of an elder statesmen around there because you were since the show’s inception? Reiss: Sometimes I feel that way. Sometimes I feel like they’ll put in one of my jokes just because I’m an old man and not because its particularly funny. I’ll get embarrassed sometimes, like I’ll throw in a joke where I know its not that good and they’ll put it in. People are very nice to me, it’s just a nice job. 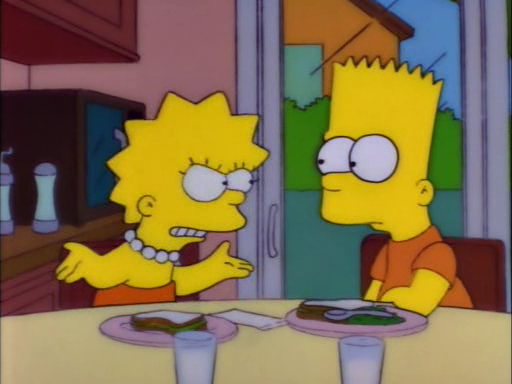 I think people – it’s the rare show on tv where the average tenure there is about 10 or 12 years. People like it, we all get along on, we all respect each other. CT: If you do make another one do you think you’ll wait until the show has finished its run on TV? Reiss: I think that’s the general plan, I think the day the show finally goes off the air, like a year later we’ll all going to miss it and I think then we’ll be a little more interested to do the movie. I’d be fine with that. The first movie wasn’t very good, but FOX is going to do something with these characters after the show goes off the air, and another movie done without the background pressure of the ongoing series would be about the best we can hope for. There’s more at the link. He talks about how it was easier back in Season 3 and 4 because, “we had all the tricks and all the architecture in place but the show was new, it wasn’t like we’d done 10,000 ideas like we have now where it’s hard to find things to write about”. But it was the part about the assembly line nature of the place letting in embarrassingly weak jokes that caught my attention. Image shamelessly yoinked from the link above. I just heard a rumor that you dubbed 1 of the Imperial Officers in the original Star Wars. True? Did you also voice some Rebels? How did you get involved? Not clear on what-all I did. Just some words on paper. They called me in, I did it, I left. 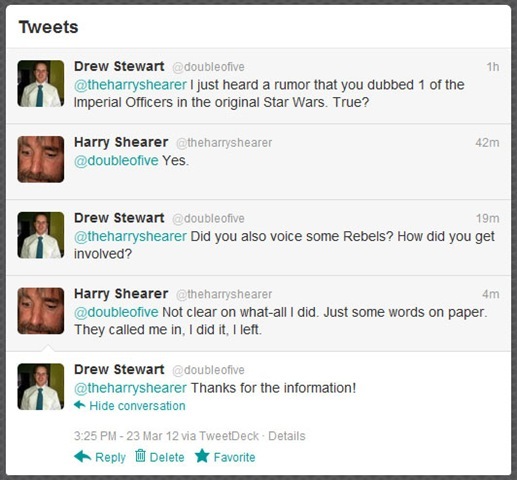 This all got started when Stewart saw a forum post on a Star Wars site and decided to run it down via Twitter. Well done. There’s some speculation at the link about which lines may have been his. None of their suggestions seem implausible, but I don’t think they’re exactly conclusive either (via).